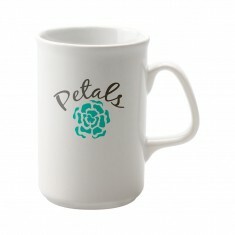 Painting a picture is much easier when you can use every colour at no extra cost. 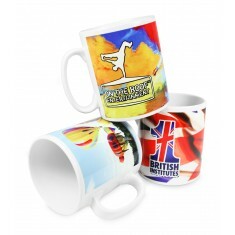 That’s why we put together our range of promotional Full Colour Mugs so you can print all your tints, shades and multi coloured rainbows without having to worry about the extra cost. 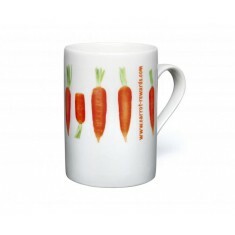 Personalised full colour mugs allow you to print in every colour that you need for your design meaning that photographs, illustrations and every shade of colour you can imagine without increasing the cost. 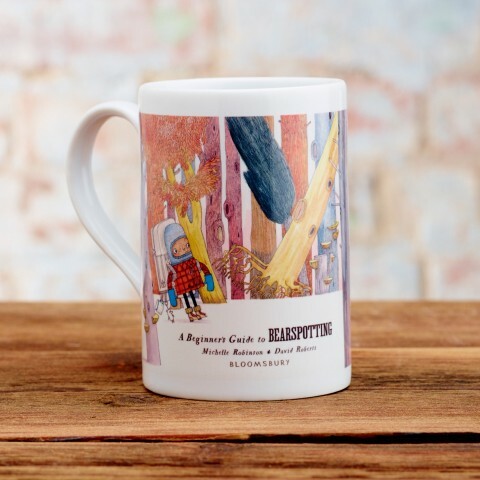 Our range of branded full colour mugs includes everything from the classic earthenware mugs to glass and even sparkle mugs and heat revealing ones! 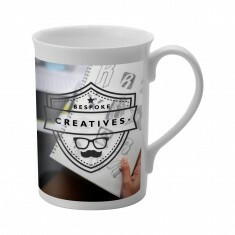 So whether you’re printing a picture of the team for an office desk drop or you have a beautiful illustration to give away at events, exhibitions or just to loyal customers, our customised full colour mugs are ready for the job. 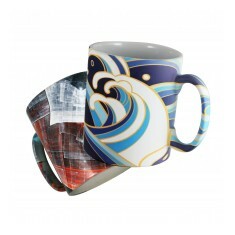 Two of our favourite mugs from this range are the custom printed Filbert Dye Sublimation Mug and the customised Durham Full Coverage Mug. 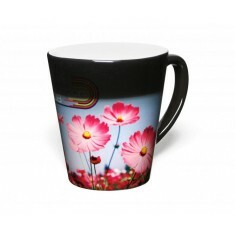 The Filbert Dye Sublimation Mug has an elegant and simplistic shape which is printed with a stunning high quality print for printing everything from illustrations to photographs. 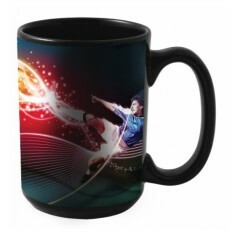 The Durham Full Coverage Mug comes with the ability to print the entire outer sides of the mug in full colour with your design. 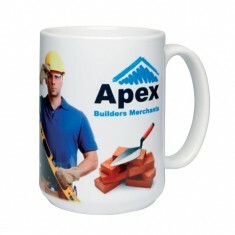 Both mugs are excellent examples of the outstanding detail and coverage that we can achieve with your design. Why not add your favourite styles into an ideas board so you can get all the products you love together in one place? 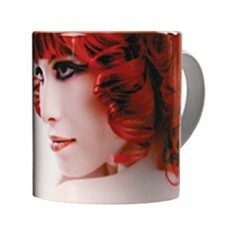 Full colour, full coverage to outer sides. 100% dishwasher proof. 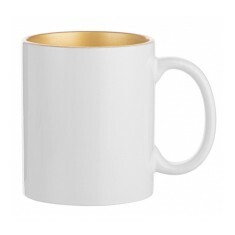 10oz capacity. Printed full colour. Withstand up to 2000 dishwasher cycles. Photographic print. 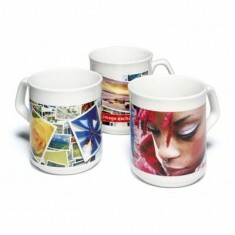 High quality full colour print. Angular curved handle. Wrap around branding area. 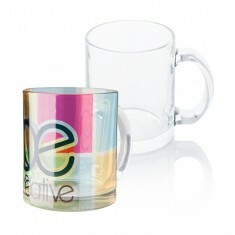 Clear glass material with high quality full colour print. 300ml capacity. 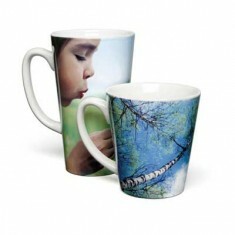 With great photography you can do many things evoke emotions and generate idea..
Outstandingly large branding area. Printed full colour. Elegant & simple shape. 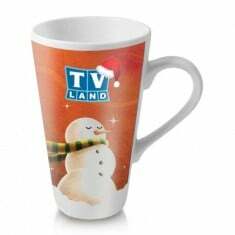 High quality full colour print. Dishwasher proof up to 2,000 washes. Large branding area. Traditional style. 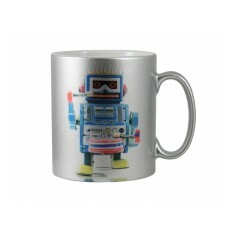 High quality full colour print. Dishwasher proof up to 2,000 washes. Printed full colour. Up to 2,000 dishwasher cycles. Photo quality print. Classic design. 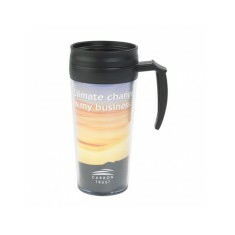 Keep warm on your travels this winter by taking your drink to go in our person.. Unique shape. 325ml capacity. 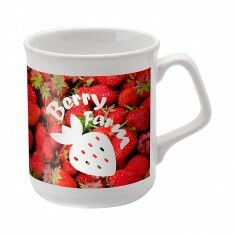 Branded full colour as standard. Wrap around print. 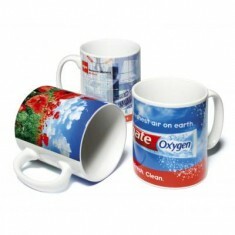 Alternative to traditional white full colour mugs. Wide branding area. Large capacity. 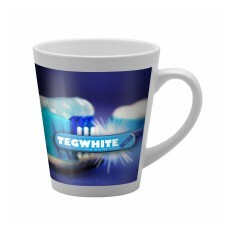 Branded in full colour as standard. Large capacity. Wrap around print area. Tall, coffee shop style. Printed in full colour. Large wrap around branding area. High quality, full colour branding. 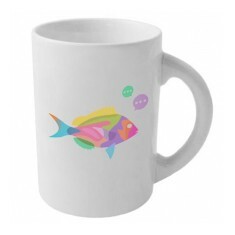 Special coating to make dishwasher safe. Printed full colour. Heat sensitive coating to reveal design. Wrap around print. Gold or silver inner, white outer. Printed full colour. 285ml capacity. UK made. Sparkly outer colour coating. 285ml capacity. Classic shape. Wrap around branding area. Minimalist style. UK stocked. High quality print. Fine China material. Dishwasher durable.